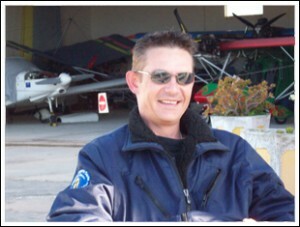 Brad Wagenhauser is the director, CFI and CAA appointed Flight Examiner at Great Western Airsports. He started his successful career with a financial accounting degree with postgraduate honours as well as a good grounding in I.T. He was one of those that started playing around with the internet long before we knew it in it’s current form. He is still quite involved in the I.T. scene however, it is his love of flying which has led him to not only gain his PPL, but also his instructor’s rating. Having been part of the British Team at both European and International level for numerous years, he has gained a wealth of experience from the precision flying competition participation teaches and also, learning from the best in the world(British of course). Spending his early instructional days as an AFI & CFI at Gerry Breen’s Algarve Airsports Centre in Portugal cutting his teeth under the guidance of the great master, he was ultimately apppointed CFI when Gerry retired from teaching, specializing in intensive flight training subsequently teaching more students to get their NPPL than any other U.K. instructor over the past 4 years. 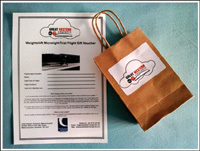 Brad flies and teaches on both weightshift microlights(flexwing) as well as 3-axis(fixed wing) microlight aircraft. He also loves free air flight and flies hang-gliders and gliders in his spare time.